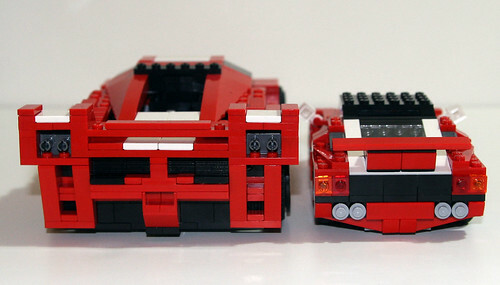 I’m not going to get the review of the new 2010 LEGO Creator 5867 Super Speedster, which is a 3-in-1 (also makes for an armored car and a go-cart) posted tonight, but I figured I would post some photos showing a comparison to the 8156 Ferrari FXX 1:17. 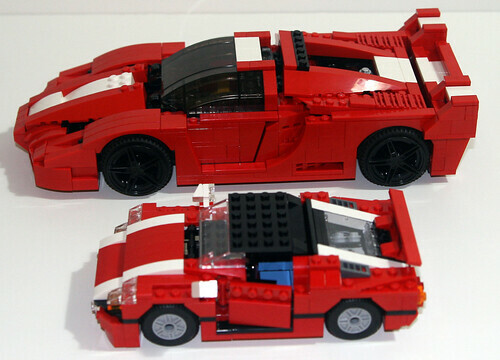 I did so since it seemed like a natural comparison – both are sports cars and both have nearly an identical color scheme. 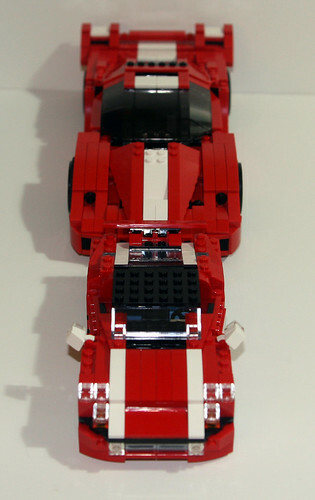 The Super Speedster is a new model for 2010 and comes with 278 pieces sells for $19.99 (available now at the LEGO Online Shop and Amazon.com), while the Ferrari had over 600 pieces and retailed for around $60. 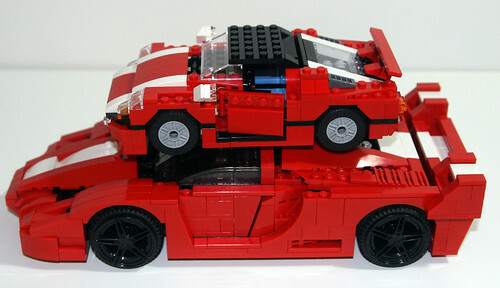 Obviously it’s quite a bit smaller than the Ferrari, but there’s quite a few influences present from the Ferrari. 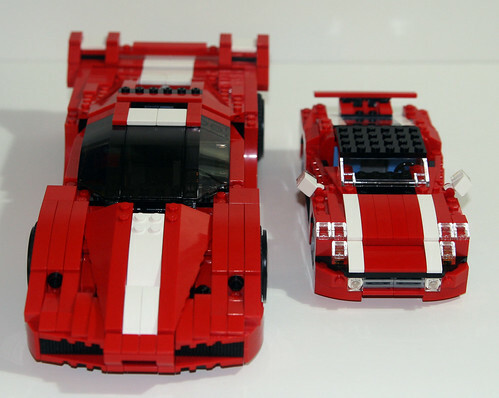 My general impression so far (I have yet to build the go-cart and armored car) is that it’s a great value for $19.99 and comes with a lot of useful plates and smaller pieces (if you prefer red/black). Remember, click on the photos for larger versions at flickr.